The Small Series of wind transmitters are designed for applications where the best price performance ratio is required. 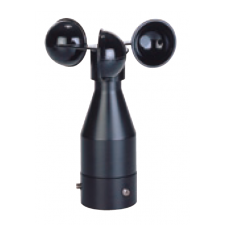 The Small wind direction sensor is a mechanical wind vane designed for the measurement of the horizontal wind direction with potentiometer and reed relay outputs. The all plastic enclosure provides excellent corrosion resistance whilst labyrinth gaskets protect the electrical components.